The structured silhouette of this compact top-handle bag conveys a timeless sensibility. 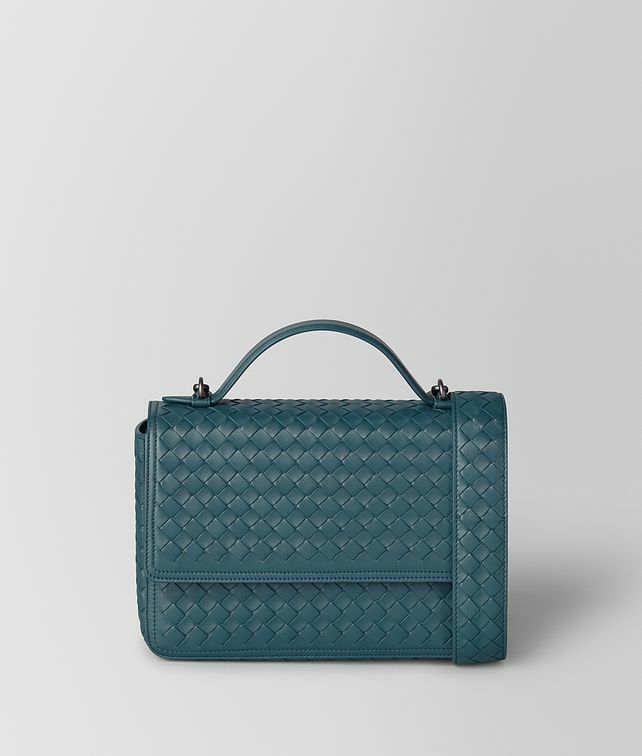 It is beautifully crafted from soft nappa leather in an intrecciato weave with the considered addition of a detachable shoulder strap. The design is complete with suede lining and a clever zipper pocket at the interior.